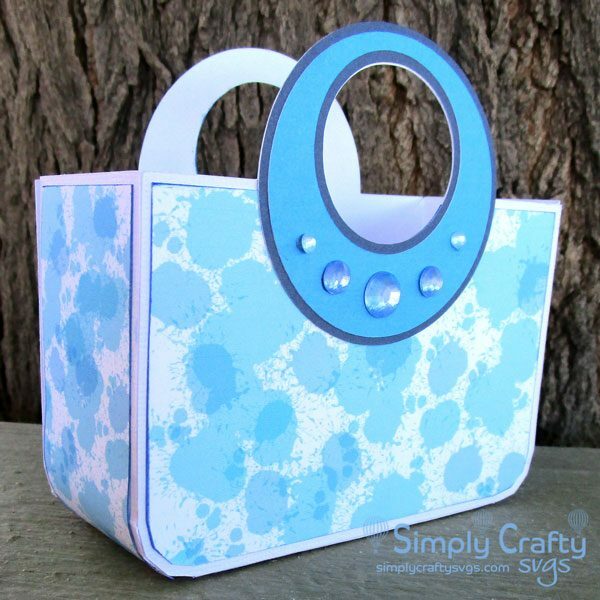 Make a little gift bag for any occasion with this FREE Round Handle Bag SVG File. The finished bag will be about 4.5″ wide, 3″ tall and 1.75″ deep. It is actually a bit large for a treat bag or favor box, but it could be sized down a bit. 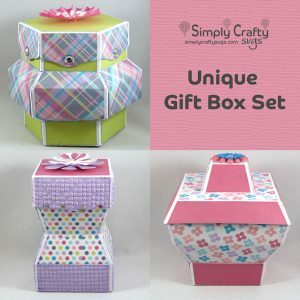 Use other embellishments, such as rhinestones or enamel sticker to add dimension.